Measures the distance between a point and a line. The computation of following outputs can be switched off by passing value atl::NIL to these parameters: outDistance, outConnectingSegment, outSignedDistance. 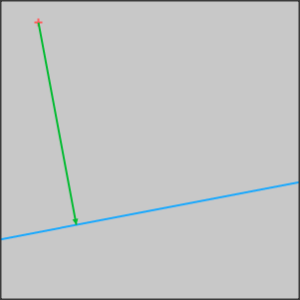 PointToLineDistance performed on a sample point and a sample line. The green segment is the value of outConnectingSegment output. 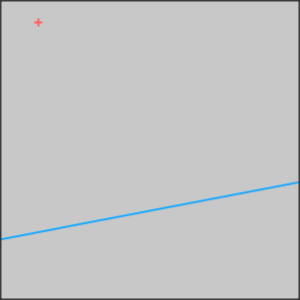 DomainError Indefinite line on input in PointToLineDistance.